UNITED NATIONS, Aug 16 2012 (IPS) - When Cuba chaired the Non-Aligned Movement (NAM) back in 1979, Western nations dismissed the world’s largest single political coalition as lacking legitimacy since Havana was considered a close ally of the then-Soviet Union. Taking the cue from the West, even some of the mainstream news organisations, as a matter of editorial policy, continued to cynically describe NAM as the “so-called” Non-Aligned Movement right through Cuba’s four-year chairmanship, which ended in 1983. Still, both Cuba and NAM survived the name-calling and political vituperation, despite an organised campaign to discredit the coalition as covertly pro-Soviet. With Iran taking over the chairmanship later this month – for the first time in the history of the 120-member NAM – the Western world is expected to react as negatively as it did to Cuba. Israel, which has threatened to unilaterally attack Iran on the ground Tehran is developing nuclear weapons, has urged Secretary-General Ban Ki-moon to skip the NAM summit scheduled to take place in the Iranian capital Aug. 26-31. The Israeli newspaper Haaretz reported last week that Israeli Prime Minister Benjamin Netanyahu has personally appealed to the secretary-general not to attend the NAM summit, describing Iran as “a regime that represents the greatest danger to world peace”. But Ernest Corea, former Sri Lankan ambassador to the United States and author of “Non Alignment: The Dynamics of a Movement,” told IPS that if Ban visits Tehran for the NAM summit, “he will be following precedent and reaffirming the bond between the United Nations and the 120-member NAM”. Of course, he should attend the summit, said Corea, but should keep clear of bilateral discussions with the Iranian leadership on matters within the purview of the U.N. Security Council – unless he is encouraged or authorised to do so by the Council. The editorial said that Ban may be hoping he can single-handedly persuade the Iranians to end their quest for nuclear weapons. Iran insists that its nuclear programme is related to its growing energy needs, and not aimed at making weapons of mass destruction. Chakravarthi Raghavan, a veteran journalist who has covered the United Nations both in New York and Geneva for decades, told IPS whether one likes it or not, NAM is a political gathering, and represents the largest group of nations, and members of the U.N.
“Whatever the views and policies of the host, it would be a folly for the head of the U.N. Secretariat not to go there to present a U.N. view – and not act as a partisan of U.S.-Israeli interests or Israeli lobbying groups in the U.S.,” said Raghavan, who has covered NAM summits from the very inception. 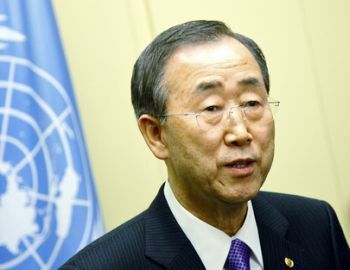 “If and when the secretary-general has something to announce, we will announce it,” he added. In a statement issued Monday, the Anti-Defamation League (ADL), a strongly pro-Israeli lobbying group, urged Ban “to make clear that he does not intend to travel to Iran later this month”. NAM, which was created in 1961, has been chaired by 12 countries from the global South, including the former Yugoslavia, Algeria, Sri Lanka, India, Zimbabwe, South Africa, Malaysia, Indonesia, Zambia, and currently Egypt, which formally hands over the chair to Iran at the Tehran meeting. Corea told IPS that non-alignment as a foreign policy option predates the creation of the Non-Aligned Movement. As the late Indian prime minister Jawaharlal Nehru once explained, non-alignment is the means by which newly-independent states retained independent control of their foreign policy in the same way that they were – post-colonialism – able to manage their domestic affairs. “The Non-aligned Movement (NAM) is a coalition of countries that follow a non-aligned foreign policy or profess to do so,” said Corea. Their founding principles remain intact and relevant in today’s world: mutual respect, mutual non-aggression, mutual non-interference, mutual benefit, and peaceful co-existence, he said. NAM’s relevance has to be assessed in relation to how closely its members uphold these principles in practice, he declared. “All countries holding NAM chairmanship seek clout for themselves while doing so. Some succeed, some don’t,” said Corea.